Part 4: It's never the final chapter until it's the final chapter. I woke up the next morning thankful that my fever from the night before had broke. Besides being a bit tired from the restless sleep, I was surprisingly okay. No fuzziness. No temperature. No fever. I rallied myself and headed to the audition. The process went much the same way only this time with fewer people auditioning. They still called us in groups of five or six. And it was pretty much the same scenario they had us act out. The one glaring difference is that I wasn't nearly as confident with my performance as I had been in the first audition. I felt like I had missed key marks as the scenario played out, moments that I knew I could have better capitalized on. I began second guessing myself, wishing I could go back and give it another go. I had after all gone through the same exact audition previously. Why did I not absolutely own this second one? Was it because I wasn't feeling well the night before? Did I not prepare enough? If only the casting directors could see how good I really was. And so I traveled back home to Brooklyn the next day with a heart heavier than the luggage slung over my shoulder. Fully expecting to never hear from Pirates of the Caribbean again, I set about the routine of submitting to castings and auditions once again. I may have blown it, but I took the shot. That's what mattered. I had to just keep going, stay in the game, keep stepping to bat. Sure it was a bumpy ride. Sure it was full of pitfalls and hazards. But I knew that if I walked away, that if it was my turn up at bat and I decided not to step up to the plate, I knew that time could be my home run. And I wasn't willing to miss my chance at a home run. It was I think mid to late March by this time and we were having beautiful spring days that year. Two weeks had gone by since the Pirates audition and I was fully back on the horse, printing and mailing out a couple of head shots and resumes every few days. And out of the blue, my phone rings. "Congratulations, Ronnie. You're going to the Caribbean." "This the casting office for Pirates of the Caribbean 2 and I'm calling to let you know that you've been chosen to be one of our cannibals! We'll need you to come out for the dialect classes, and of course for the costume fittings. 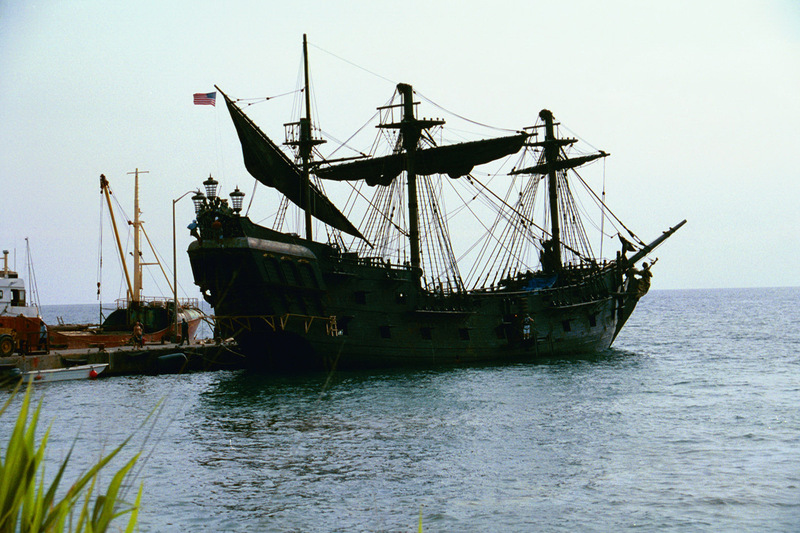 But then after that you'll be on location for five weeks in the Caribbean." It's going... It's going... IT'S OUT OF THE PARK!!! I spent about ten days in Los Angeles for the fitting, and the dialect classes, and all the other things we had to do to prepare for the shoot. 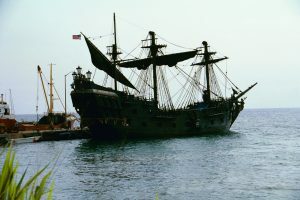 And by mid-April, just a few days after my birthday, I found myself walking off an airplane in the tiny airport on the beautiful island of Dominica to work with Johnny Depp and the rest of the stellar cast of Pirates of the Caribbean 2: Dead Mans Chest. This story is all about you becoming a cannibal. Weren't you supposed to tell us about how you became a PIRATE?